Well I made it half way, only another 182 to go. Was just looking around Instagram last night and seen some photos of clothes pegs, so I took a little bit of inspiration. 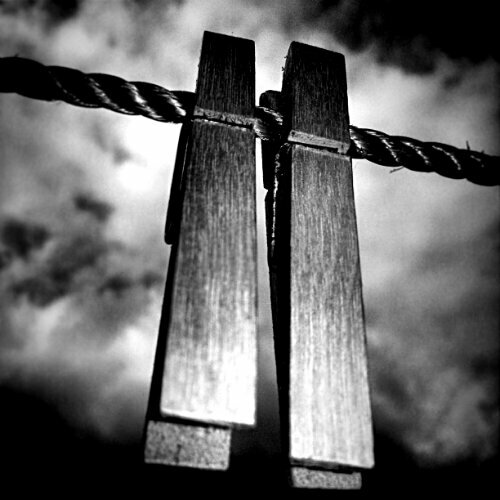 Two clothes pegs on line with the sky forming a background. A little extra contrast and a black and white conversion give the shot a different feel. This entry was posted in 365 Photo Project 2013, Blog Posts, Image Post and tagged 365 Photo Project, A Man With His Camera, blackandwhite, BW, clothes, contrast, edited, pegs, photography, photoshop.